Dolphins' Lloyd Edjuto takes it to the basket. Binary Financial and Dolphins continued to keep pace at the top of the standings in Ball Above All’s Elite League with their third victory in as many weeks. In the first game of the night at GEMS Dubai American Academy Barsha, Binary Financial topped Spartans 81-68 as Ammar Farouq put on a show with 32 points, eight rebounds, four assists and three steals. Farouq sliced through Spartans’ defence at will to build up a sizeable lead. Spartans went on a run in the fourth quarter to cut the deficit to single digits, but couldn’t complete the comeback as they suffered their second loss of the season. Dolphins then took care of business against Dubai Flight with a 67-58 victory, pulling away late after a closely-contested game.With four players scoring in double figures – including Augustine Bakali who had 25 points, six rebounds, four assists and five steals – Dolphins’ firepower proved to be too much. After struggling in their first two games, Dubai Flight showed fight and improvement in the loss. The final game of the night saw Vipers edge Dubai Heat 82-78 behind Aristeed Mendy’s monster performance. Vipers had four players contribute double-digit scoring with Mendy leading the way by dropping 37 points, 11 rebounds, five assists and six steals. Mendy’s scoring average of 26.0 points trails only Binary Financial’s Bilal Abdullah (26.3) for top scorer on the season. 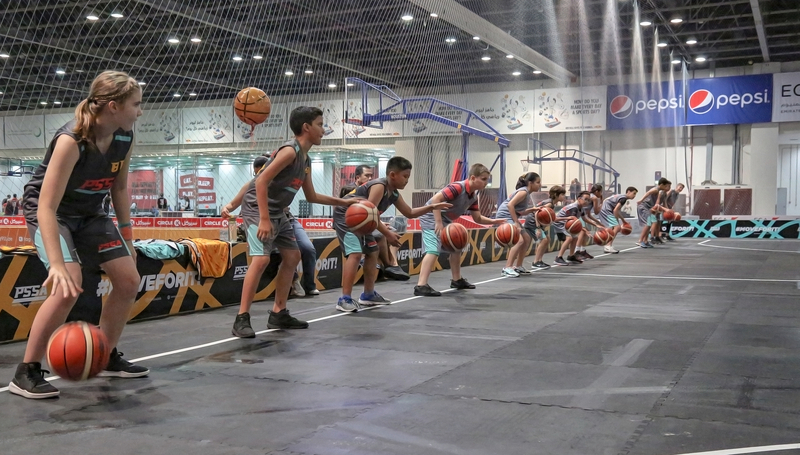 Ball Above All continues to deliver high quality leagues in Dubai, offering multiple divisions, pick-up games and a recently-launched Academy for all ages during Ramadan. Follow Ball Above All on Facebook, Instagram and Twitter. Register to play on www.BallAboveAll.ae. Ball Above All is two weeks into its Elite League season. For the second straight week in Ball Above All’s Elite League, Dolphins pulled out a close victory as they edged Vipers 79-77 in round two of the recreational league’s new season. Lloyd Edjuto and Augustine Bakali each scored 23 points to pace Dolphins, while Aristeed Mendy poured in 30 points, six rebounds and six assists to keep the Vipers in the game at Dubai British School. However, Mendy’s last-second jump shot to send the game to overtime was off the mark, leaving the defending champions at 0-2 through the early stages of the new campaign. 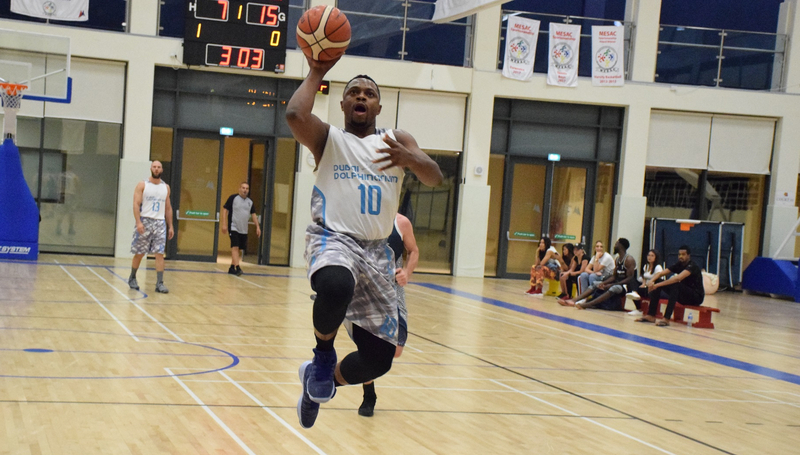 In the early game, Bilal Abdullah put on a shooting show by splashing five 3-pointers to lead Binary Financial to a 70-64 win over Dubai Heat. Abdullah finished with 22 points, 10 rebounds six assists and two steals as Binary Financial remain unbeaten. Through two games this season, he leads the league in points (29.0 per game) and 3-pointers made (13). 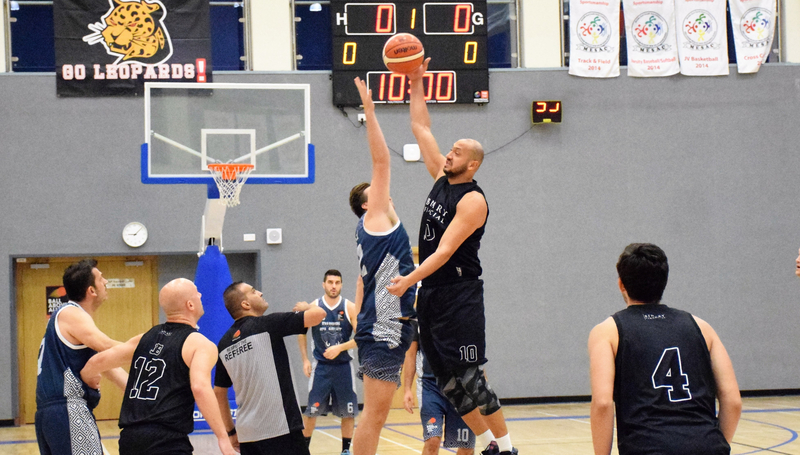 The final game saw Spartans blow out Dubai Flight 76-38 with ease. Spartans used their pressure defence to nab 21 steals, which led to several fast-break opportunities and points. Emmy Unaegbu scored 26, while team-mate Rey Nyadera impressed with a triple-double of 14 points, 10 rebounds, 11 assists and five steals. Dubai Flight have so far struggled to acclimate themselves since joining the Elite League as they sit at the bottom of the standing with a minus-82 point differential. Kids will try out for the chance to head to Las Vegas with PSSA. Dubai’s basketball players are shooting for a chance to win a trip of a lifetime to Las Vegas, to play alongside the top upcoming talent in the States. Prestige Star Sport Academy (PSSA) is giving young athletes a chance to make it onto a team heading Stateside to play in front of NBA stars and American scholarship scouts, with a series of try-outs in Dubai. The chosen team will take part in the three-week tour in July, which will see them practice and play basketball against the best teams in the US, as part of the prestigious Amateur Athletic Union Tournament. Operating in over 30 locations throughout the UAE, PSSA offers high-level coaching services and specialises in harnessing and nurturing sporting talent with the help of ex-pros and specialists.